We live, work & play at Addison Reserve Country Club! "It's easy to sell something that you yourself love so much." "Cherie & Larry have sold us 3 magnificent homes in Addison Reserve C.C. over the last 10 years. They were a pleasure to work with and they know their product well. They were very professional and informative.They made it possible for us to buy & sell each time and make a profit. I would strongly recommend them to everyone. They are tenious New Yorkers and my husband and I appreciated that each time we dealt with them. " 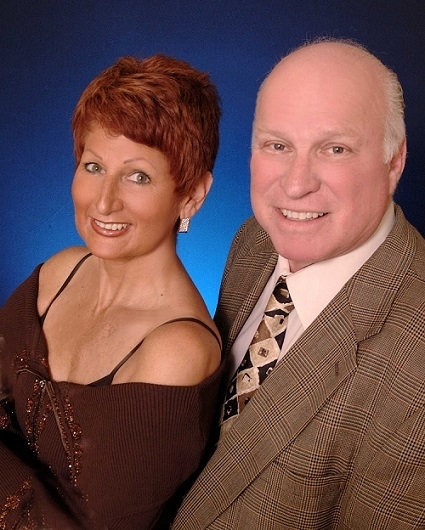 "My wife & I were introduced to Larry & Cherie Gross through my father-in-law who had purchased one of Larry & Cherie’s listings. He enjoyed working with them so much that about a year later he reached out to them again so that he could buy a larger home in Addison Reserve. They did a great for him in both the buying & selling,so naturally, he recommended them to us. We wanted to buy in Woodfield Country Club, a club that has more young families with many children living there. Larry & Cherie took us around and we found a wonderful home, which was just what we wanted. We found Larry & Cherie to be extremely helpful in every aspect of our purchase. We recommend them highly without hesitation. " "Hello, My wife & I, Mickey, came to Addison and was introduced to Larry & Cherie Gross by one of the members we met at a local restaurant. We were interested in Addison from the beginning and found them very knowledgeable about the country club, the lifestyle, as well as every cost of “living the dream” of Addison Reserve, as Larry always says. They showed us many homes, until after a few weeks we found the home that suited us perfectly. We lived in Addison for 6 years and decided to move to Polo Club where my brother resides. Larry & Cherie then proceeded to show us many homes at Polo Club and we found a lovely little attached home, perfect for us. At the same time, they also listed our home at Addison, which they soon sold for almost asking price. We were very pleased with their professional manner in both buying and selling for us. We recommend them both very highly. " Magnificent estate home with panoramic lake and golf views. freshly painted light and bright! Hurricane impact glass, full house generator, car collectors dream A/C 4.1 garages. High ceilings,crown moldings, Jerusalem stone floors, fireplace,wet bar, double height windows. Expansive floor plan, upgraded open kitchen with Subzero, gas range, large island and walk in pantry. Downstairs spacious master suite with luxurious bath,Jacuzzi, custom outfitted walk in closets, his/her separate offices, 2 en suite bedrooms. Upstairs living room, 4 en suite bedrooms, and 2nd laundry. Heated pool and spa, screened covered summer kitchen with casual living/dining areas.